M Restaurant‘s executive chef Kyle Beebe: Family recipes are difficult. We have a few but they are locked away in my mother’s head. By learning as I see, my mother cooks by previous knowledge of dishes she’s made and just cooks from the heart. But for the sake of this question, I have a recipe that I grew up with for brunches. I think the story [behind this recipe] goes: my grandmother heard it on the radio long ago. 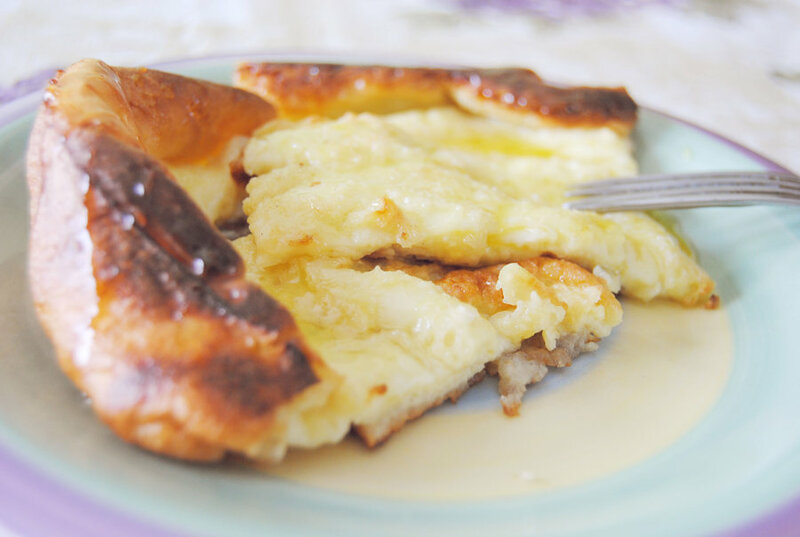 Enjoy my grandmother’s Finnish Pancakes! Mix the first set of ingredients. Then mix in the second half. Pour into a greased baking sheet with walls and bake at 400 degree (F) non-convection for 10-15 minutes or until the surface is really poofy/bubbly and golden brown. When it cooks, the air will escape, and you’ll have this warm oven baked pancake. Then just top it with some sour cream, macerated strawberries and a touch of maple syrup. Enjoy!